Last week I had a nice email exchange with Ben Meadowcroft who is the Product Manager for VMware's Site Recovery Manager. While chatting with Ben, I learned about new feature that I was not aware of in the latest SRM 5.8 release which now supports an embedded vPostgres database. Not only does this greatly simplify the installation and not requiring an external database like Microsoft SQL or Oracle, it is also on par in terms scalability with the external databases which is great for customers. 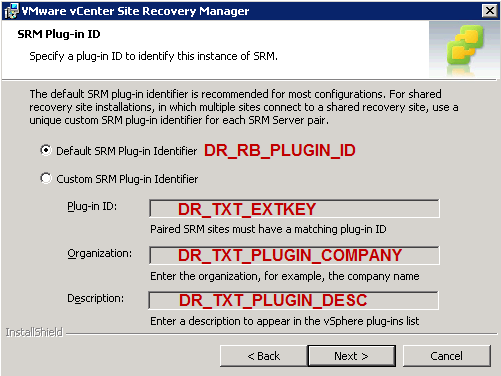 I definitely like this improvement in the SRM installation and making it easier to evaluate and POC without requiring a large resource footprint. 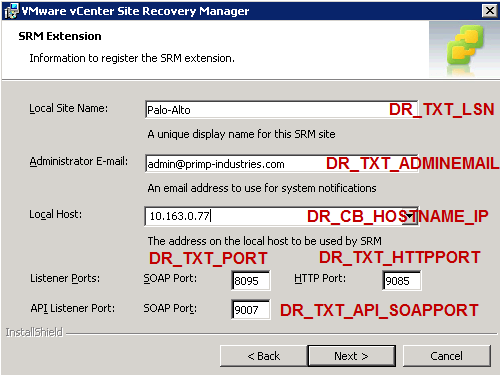 UPDATE (11/09/15) - For silent installation of SRM 6.x, please take a look at this article here as some of the install params have changed. In addition to new database feature, I also learned that SRM supports a silent mode installation which I was not aware of before either. 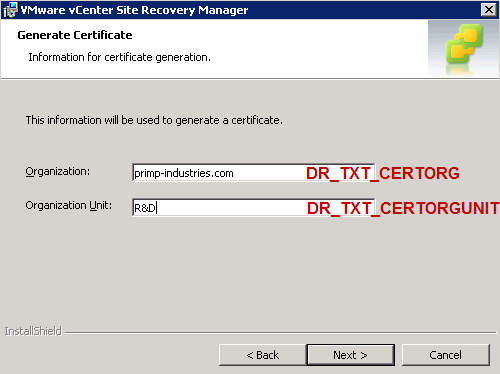 I figured this might come in handy for those needing to automate an SRM deployment given you will need at least two installation: one for the protection site and one for the recovery site. 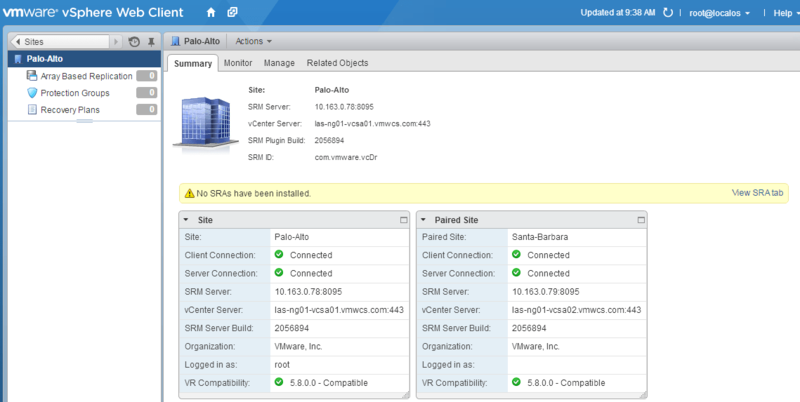 I did not see much documentation on this topic and it has been awhile since I have played with SRM, I thought this would be a good opportunity for some automation goodness as well as checking out some of the new SRM 5.8 features including VSAN support as well as the new vSphere Web Client integration. 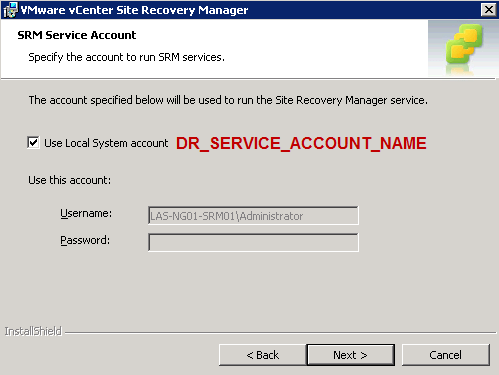 Depending on the number of SRM installations you require, you will need to modify the script to perform those additional deployments. As you can see below, I have my two SRM sites implemented. 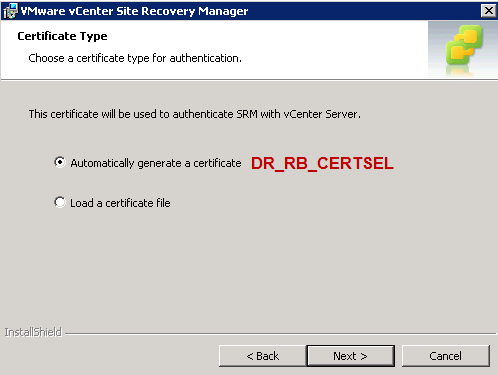 I have also gone ahead and paired both my SRM setups as well as deploy and configure the vSphere Replication 5.8 using the vSphere Web Client. 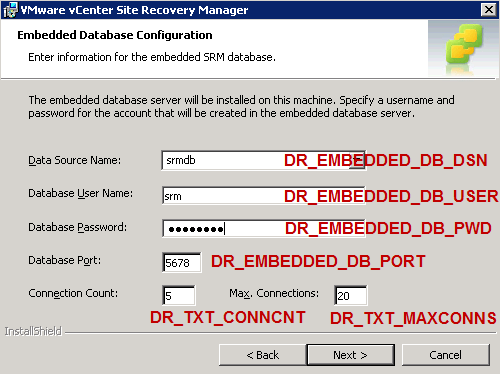 I definitely recommend checking out the latest SRM 5.8 release if you have not already and you may also want to consider using the embedded vPostgres database for future SRM installation to help simplify the deployment and management of SRM. For those of you who are interested in the variable mappings to the SRM UI installer (which is pretty straight forward), I took screenshots of each step and mapped them for your convenience. Thanks for this William! I’ve attempted to modify your script for SRM 6.1 and obviously there is some differences. The farthest I’ve gotten thus far is for the script to run and the embedded Postgres db and its service get installed. The log states the install was unsuccessful with a 1603 error code and few errors along the way. Most notably one that states that mandatory fields cannot be blank. So, my best guess is that some of the variables are incorrect. Do those follow a specific naming, based on the input lines in the different windows? Then modify the %SRM_INSTALLER% row with the new and removed settings. Thanks John! I used your new variables and omitted the others but I am still not able to get SRM to fully install. I can get the Postgres service and database to install, but that’s still about it. Would you mind providing what you used in your %SRM_INSTALLER% row? I’m wondering maybe if I’m still using a variable that I do not see to or one that is out of place. 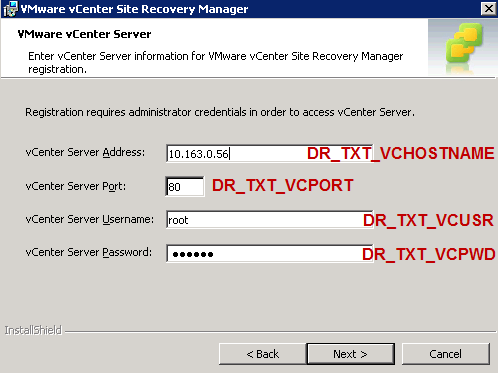 As John mentioned, there are a few new variables that have been introduced with both SRM 6.0/6.1 to support the Platform Services Controller which is new with vSphere 6.0. 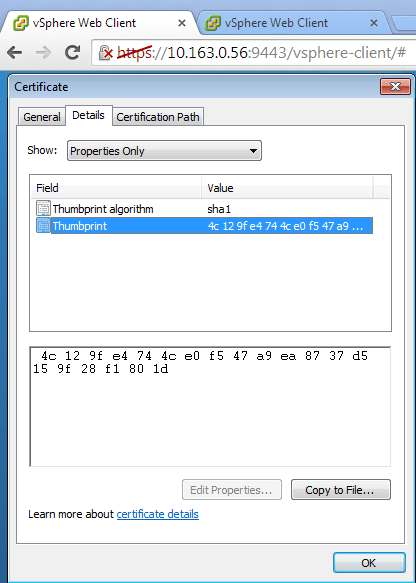 I too have come to same conclusion on the added variables, however I’m surprised to see that removing DR_ACCEPT_THUMBPRINT worked as this shouldn’t be the case as you probably want it to accept the Thumbprint else the installer would hang, at least that’s the case in the UI. I tried updating my script to take into account the new variables and when trying to set this up myself (Win 2012), I’m also getting 1603 error which is actually a generic error code. You’ll need to step through the logs which should eventually lead you to the reason for the failure. 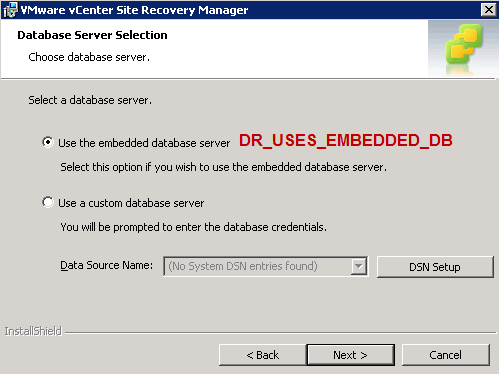 From what I see in my env, it hits “Srm::Installation::CisRegistration::ValidateVc: ERROR: Failed to retrieve VC Node ID. The map is empty” which seems to be an issue parsing out the VC Node ID which in my logs is extracted but perhaps something else is going on. Thanks for the reply William! I too get the 1603 error as well. Let me double check the log on the VCNodeID error….I was parsing through the log with trace32 and there are a handful errors, but nothing that is a sore thumb.